What's so funny about Minnesota politics? 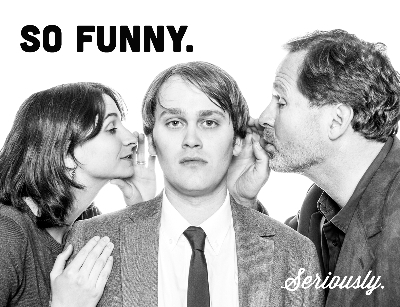 The Theater of Public Policy is prepared to tell you all about it, with the help of their mighty tools of improv and a couple of current state legislators. Reserve your seat at school to learn about the funny and fundamentals of state politics! 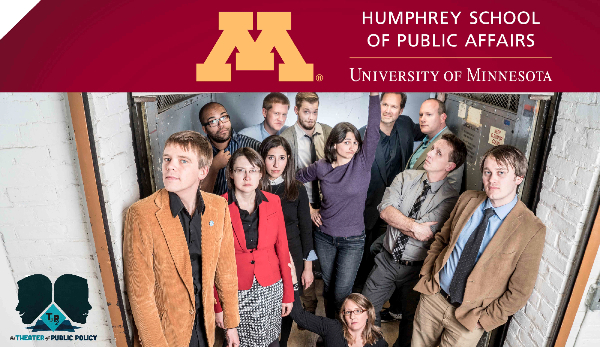 Join The Theater of Public Policy for an unscripted look at Minnesota politics. State Representatives Nick Zerwas (R-Forest Lake) and Dan Schoen (DFL–Cottage Grove) will join us for a free event at the Humphrey School of Public Affairs. Host Tane Danger will ask Zerwas and Schoen about the 2015 session, Minnesota's political climate, and where lawmakers use the bathroom now that the capitol is under construction. The event is free and open to the public, but pre-registering is requested. Free and open to the public, but please register online to secure a seat. and the Public Affairs Student Association. We just announced the line-up for our spring season. Check out the amazing roster of guests (including one surprise) we'll have every Monday at the Bryant Lake Bowl and get tickets.